Each country has its own currency except in Europe where a group of countries have a common currency. The rate at which one currency can be exchanged for the other is called Forex rate. This rate changes on daily basis depending on the demand and supply of each currency. A currency is said to have appreciated against the other currency when we had to pay less units of former currency in exchange of one unit of the latter. Similarly a currency is said to have depreciated against the other currency when we had to pay more unit of former currency in exchange of the latter. The year 2013 is being a nightmare for many due to incessant weakening of our currency. On 26th June (Wednesday), rupee shed a massive 106 paise to close at an all-time low of 60.72 against the dollar on heavy capital outflows and month-end dollar demand from importers. 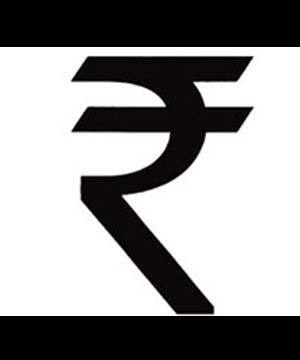 The rupee resumed lower at 59.66 but as the dollar demand surged, rupee continued to reel under pressure and touched an all-time intra-trade low of 60.76 and finally ended at 60.72. These figures are In contrast to 2012 figures where the exchange rate had been oscillating between 49 and 55 and sources say that rupee is likely to depreciate 10% against the dollar by December due to snail-paced recovery in industrial activity further pummeling the currency. There are several factors. But the recent bout of weakness is fuelled by the prospect of the unwinding of the bond purchase programme of the US Federal Reserve. The US Fed had been printing money to bolster its economy. Now that there are signs of some strength in the US economy, it may start winding down the programme of adding more money into the system. A possible winding down of the asset purchase programme and improvement in the health of US economy will strengthen the US dollar. Investors will withdraw investments from emerging markets such as India in the short term and chase assets in the US, since assets in the strengthening US economy are seen attractive. The outflow of money from emerging markets may lead to currency weakness. FIIs pulled out nearly `550 crores stock on Wednesday taking the June outflows to about `9000 crores. Second most important factor is the widening of CAD. Our CAD was 6.5% of GDP in the December quarter but fell to 3.6% in the following quarter limiting the fiscal year deficit to 4.8% of the GDP. Two factors have been blamed for that. One is the import of Gold. India is one of the largest consumers of gold and the heavy import of gold widens CAD as the govt had to provide for dollars for every ounce of gold imported. The other factor is crude oil imports. India imports more than 75% of its crude oil requirements. Concerns over the pace of economic reforms, the health of the domestic economy and a yawning trade deficit are also impacting the rupee. Despite framing agenda of reforms to be undertaken, the success of any economy lies in the ability of the govt in implementing the policies in an effective manner.